The ever dynamic, ever changing landscape of Bonifacio High Street at The Fort has a new, sweet-toothed muse in The Cake Club. Inspired by the success of its best-selling pastries like the Ube Ensaymada, Supermoist Chocolate Cake and Baked Cheesecake, Diamond Hotel charged forward and created the pastry club. The intimate seating affords up close and personal encounters with the various cake and ice-cream offerings. At the helm of this concept is the British-born pastry chef Daniel Lee Back, whose previous and colourful culinary experience includes being Commis de Cuisine to the Hell’s Kitchen host Marco Pierre White in his Mirabelle Restaurant in Mayfair, London. 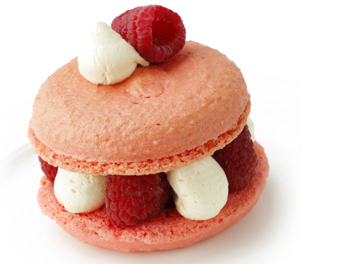 He also worked as the pastry chef of the 3-Michelin Star Jean-Georges V Restaurant. While working as Chef de Partie at the William Curley Patissier and Chocolatier, his team was voted as the Best British Chocolatier two years in a row, in 2006 and 2007. To prepare for this pet project, the club came up with a fresh line-up of flavours. 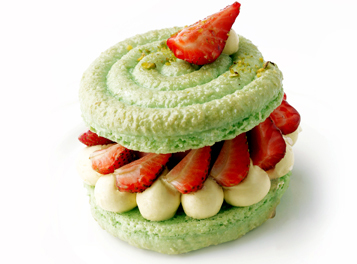 “We now offer pastries that you would usually just find in Paris like the Ispahan, St Honore and Mont Blanc. 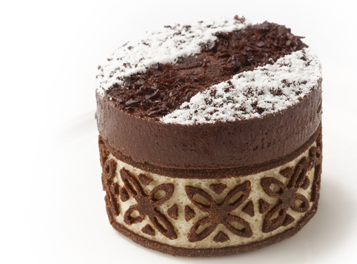 These are super delicious must-try cakes that took us months to perfect.” says Melanie Pallorina, PR Manager for Diamond Hotel. True to its intent to provide authentic Parisian café experience, The Cake Club’s pastries also include St. Honore Ube, a tribute to the French patron saint of bakers and pastry chefs, Saint Honor, and is made of puff pastry, pâte a choux and ube ganache; Le Royale is made of Valrhona dark chocolate mousse, almond meringue and hazelnut crispy; Vanessa, named after Diamond Hotel’s general manager, is made of pistachio macaroons and fresh strawberries; Cecilia, is the club’s version of the ubiquitous buko pie and is named after the hotel president, Cecile Ang; and Danielle is the chef Daniel Back’s sugarless white chocolate raspberry cheesecake. 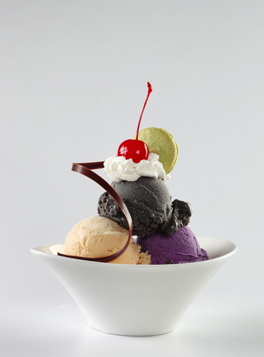 Also on offer are unique flavours of homemade ice cream made fresh in the hotel kitchen and are usually based on its cakes. “We have introduced 10 unique flavours including Black Sesame, Genmaicha, Chestnut & Rum, Apple Pie, Taro Jackfruit, among others.” These are available in half-gallon and half-pint sizes. The Taro Jackfruit was the pleasant surprise; the rich, ultra-creamy texture of the ice cream complemented the familiar sweetness of the jackfruit and made it a winner on our list. And what is a perfect pair for these sweets? 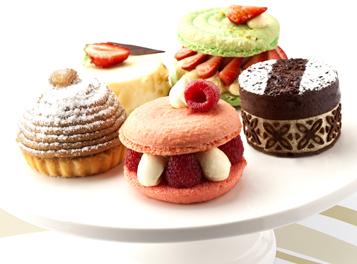 There are at least 30 flavours of coffee and exquisite teas that include the famous Hediard tea and malongo coffee available. There are also a select variety of main courses, pastas and sandwiches. A must-try is the life-changing and flavourful lamb burger, once you had this you will never look at burgers the same way ever again. The restaurant carries Royce’ Chocolates that would be perfect to pair with their bottles of wine sold at a retail price.